Under the title Spatial Concepts, Berlin-born Roth will be showcasing more than 50 works, combining his body of work entitled Spatial Concepts (2017 – 2018) with a retrospective of his series Brutalism (2016), and Personal Disclosure (2014-2015). Photo Shanghai is the first international Art Fair dedicated to photography in Asia-Pacific. Photo Shanghai offers collectors of all levels and interests, a unique opportunity in China to explore the most exciting galleries from around the world which specialise in photography. From September 2 until September 30, CAMERA WORK is pleased to open its first international pop-up gallery in Amsterdam. Entitled CAMERA WORK POP-UP GALLERY presents YORAM ROTH, the gallery is proud to present selected works from the new series »Brutalism« for the very first time worldwide. “Woman reaching up” was presented at TASCHEN courtesy of collectors Ingrid and Thomas Jochheim. A truly magical place that cares deeply about art and photo books. It welcomes over 11,000 visitors and featured 40 galleries from across 16 countries making it a true site of discovery. Die Ausstellung zeigt exklusiv über 40 neue und nie zuvor ausgestellte Arbeiten von 15 internationalen Künstlern, die einen Einblick in ihre aktuelle Schaffenswerke und Serien gewähren. Unter den ausgestellten Künstlern befinden sich unter anderem Tina Berning & Michelangelo Di Battista, Anton Corbijn, Victor Demarchelier, Tom Jacobi, Russell James, Eugenio Recuenco, Yoram Roth, Martin Schoeller und Albert Watson. Join me as I introduce my Personal Disclosure project. I have been working on it for three years, and am looking forward to showing this project for the first time. Every piece is unique, using a matte Diasec acrylic surface that is cut and cropped, and then inlayed with a Di-Tone waxed paper print, and framed in rolled & oiled steel. Photo London is a unique photography event. 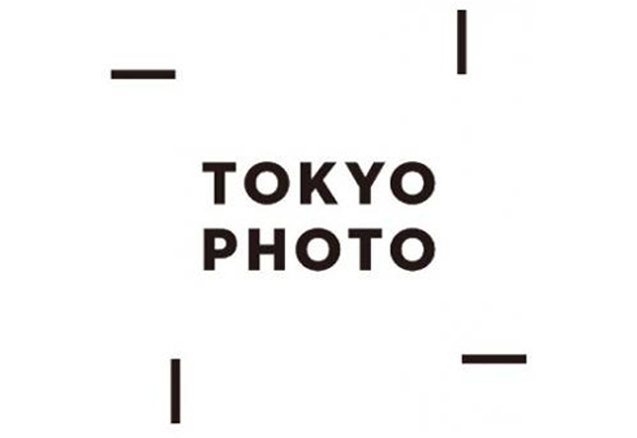 It will feature a major international photography fair for up to 70 exhibitors including the world’s leading photography galleries and publishers, alongside an innovative public programme supported by the LUMA Foundation. Photo London will showcase the broad range of photographic practice – from vintage to contemporary – and the Galerie Camera Work is showing excerpts from my Sacred & Profane series. The self-curated group exhibition shows, with more than 100 photographs, the significance and the variety of perception of the topic »Love« within the field of photography. From the Press Release: A lively Berlin / Tokyo sister-city relationship and anniversary of tearing down of the wall is reason to join in celebration. Marking the history of these two thriving capitols and ushering in a limitless future – the Berlin x Tokyo event was created. Organizers MoreTrax (the power team behind the previous Berlin/Tokyo AFTER 25) have selected pillars of the Berlin Art & Tech community to each curate an exposition showcasing their community’s diverse talent. THE WYE is proud to have been named as curator of the art exhibition for Berlin x Tokyo which will fill Sky Gallery 2 atop of Roppongi Hill Tokyo – one of world’s largest buildings. Art from Ryan Wolfe, Nathan Peter, Yoram Roth, CYLAND will look out from the viewing deck across skyscrapers to Mt Fuji. Joined by DMY (curating design), WUT Berlin (curating Fashion) and leaders of the music and tech startup scene – Berlin x Tokyo includes two days of programming featuring some of the top success stories, international projects, and global players born out of the Berlin community. Presented within political and business oriented contexts, the aim is to illustrate how actively supported art and sub-culture can lead to important economic, cultural, and social growth within a large organization, corporation or city. In November 2014, my project Quiet Devotion was shown at the respected Paris Photo Art Fair. A museum quality survey of 63 master photographers, from Edouard Baldus to Edward Burtynsky. Over 160 important pictures spanning the breadth of photographic history, held across two London galleries. This year we have taken the unusual but enjoyable step of teaming up with Osborne Samuel gallery on Bruton Street to help us stage our annual group show. Osborne Samuel is an extremely prestigious gallery, best known for dominating the Modern British field with their exhibitions of Lynn Chadwick, Henry Moore and other internationally famous British artists. We are delighted that they have agreed to help us host this exhibition, which is so large and expansive in its scope that it demands two galleries to do it justice. Osborne Samuel will be displaying the 19th and 20th century works and Beetles+Huxley will be displaying the contemporary photography in the exhibition. Please do phone ahead if there is a specific piece you would like to see, and we can point you to the right gallery. In September 2013, my project HANJO was first shown in its final version at the respected Tokyo Photo Art Fair.